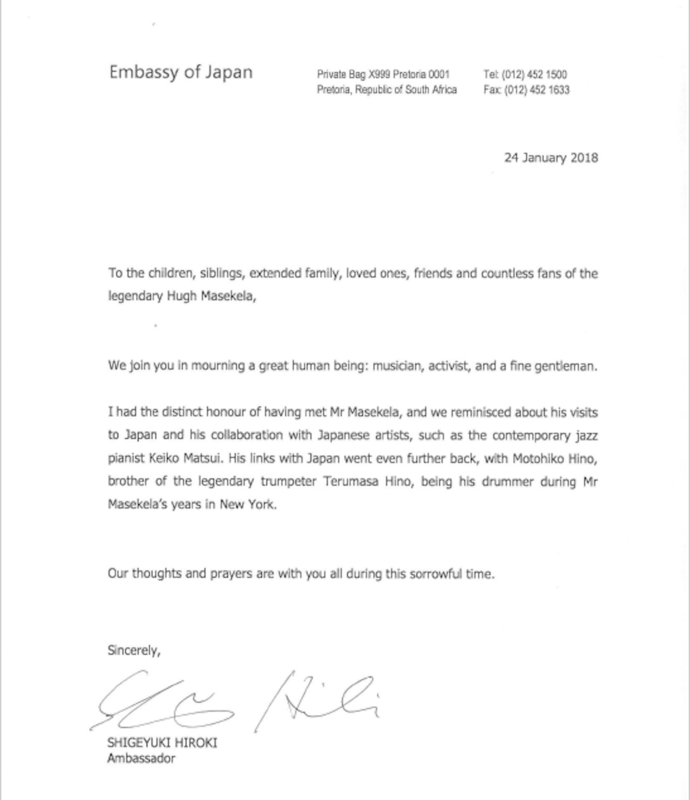 (Johannesburg, South Africa, 25 January 2018) It with profound gratitude that the family of Hugh Masekela and the Hugh Masekela Heritage Foundation acknowledge the outpouring of condolences and tributes paid to the late artist and activist from members of the public and the media – your loving words, the sweetness of your messages, the heartfelt posts on social media, commemorative front-page stories and countless radio and TV tributes, are all received with the utmost appreciation. 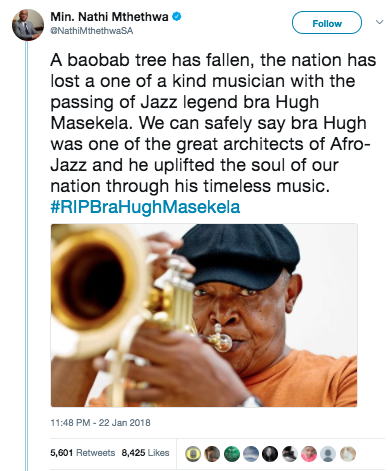 The support and encouragement we have received from Bra Hugh’s larger community across the continent, worldwide, and the Local, Provincial and National Departments of Arts & Culture, have been equally heartening, and have strengthened us in this difficult time. 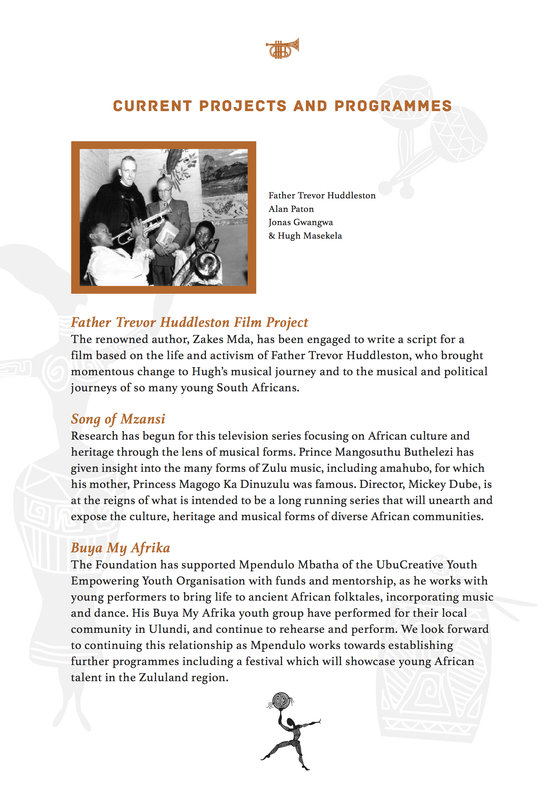 The week ahead represents a time for all of us to say our final goodbyes to Bra Hugh – as such, there are events planned where media and members of the public are invited to commune, share memories, and bid farewell to this incredible artist, composer, activist and exemplar of Pan-African excellence. 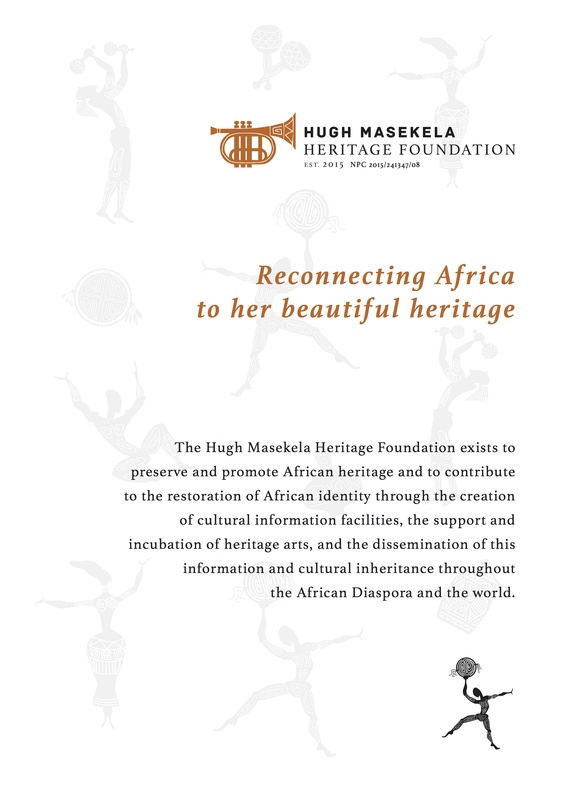 The Hugh Masekela Heritage Park is an audiovisual celebration of Hugh Masekela’s life, chronicling his six-decade tenure as an artist and social, political and cultural activist. 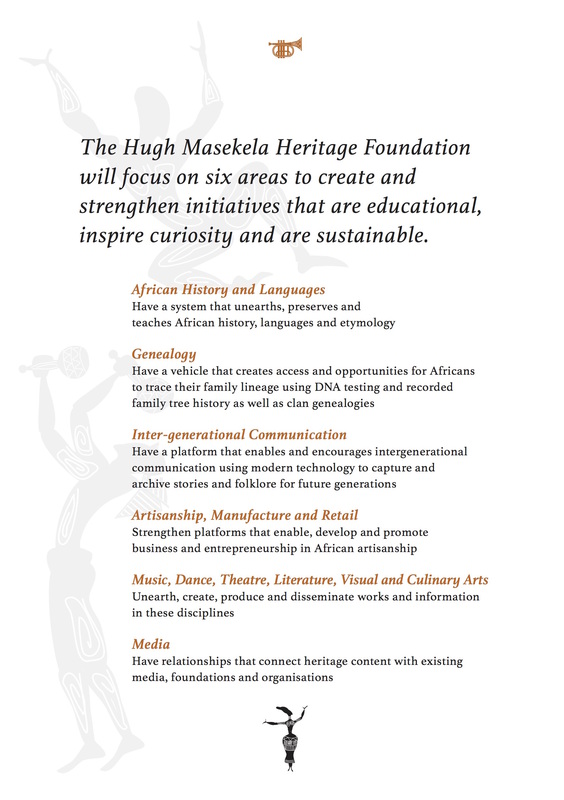 A temporary visitors centre of sorts, the Heritage Park will feature visuals, footage and audio that reflect Masekela’s rich and inspiring life journey. Time: 10h00 – 18h00 daily. 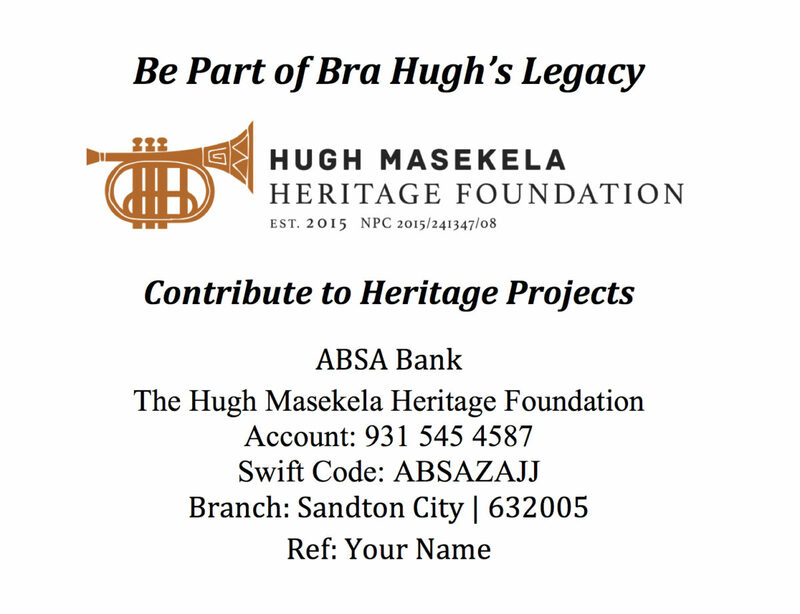 A commemoration of Hugh Masekela’s life, hosted in Alexandra township, the home where he began his incredible journey in music. Friends, the artistic community and family will share their memories of this musical titan. The final public tribute to Masekela, the event is a musical celebration of this legends life, featuring a range of artists he collaborated with, influenced and loved. Venue: University of Johannesburg – Soweto Campus, Chris Hani Rd, Soweto. Music icon Hugh Masekela tells graduands to “go out there and kick some booty’. 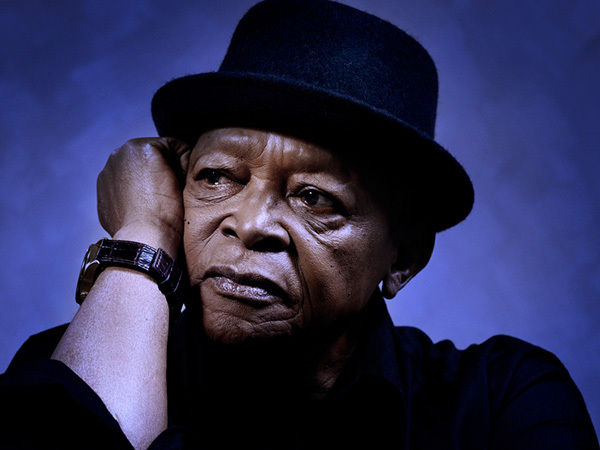 Wits University today conferred on honorary Doctor of Music degree on Bra Hugh Masekela in the Great Hall, the same stage where he performed as a 19-year-old member of the orchestra in the opening concert of Todd Matshikiza’s landmark jazz opera King Kong. 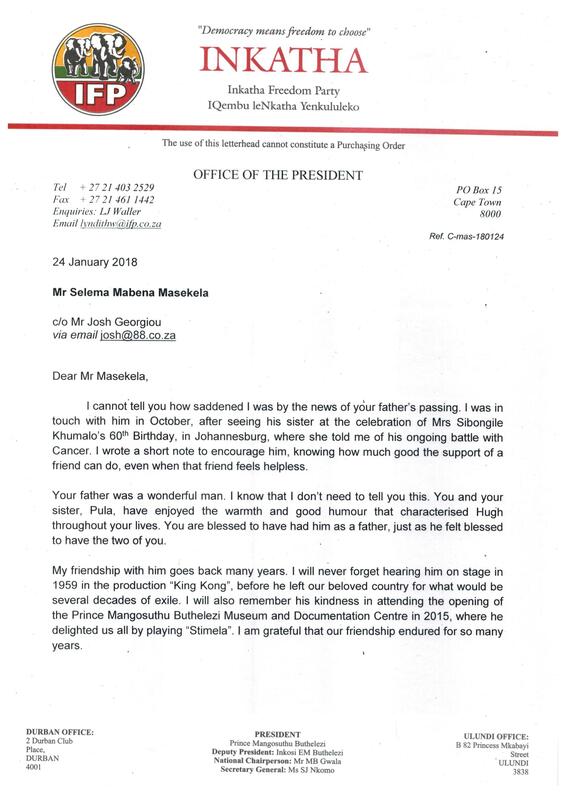 “I am deeply honoured and honesty humbled,” Masekela said in his acceptance speech. He implored graduands to become the “new pioneers of African heritage restoration at a time when we seem to be leaning on the brink of being wholly swallowed by most Western culture and several Middle Eastern and Eastern civilizations to the exclusion of our own traditions”. He told graduands to learn and teach “our own history” instead of the European education that still consumes us – something that has left us convinced that our heritage is “backward, savage, pagan, primitive, barbaric and uncivilized”. “We have long relegated our magnificent vernacular literature to the dust and insect-infested floors of crumbling old warehouses in favour of imported writings, hip hop, rap and other forms of trending fashions that distance us as far as possible from our rich traditional legacy. “We need to study, learn, and teach our traditional music, dance, oral literature and more in our own academies and future educational institutions where we can revive and redevelop what has been lost from the positive content of our glorious history without abandoning the best of what the West has brought to our otherwise void-encrusted lives,” he said. 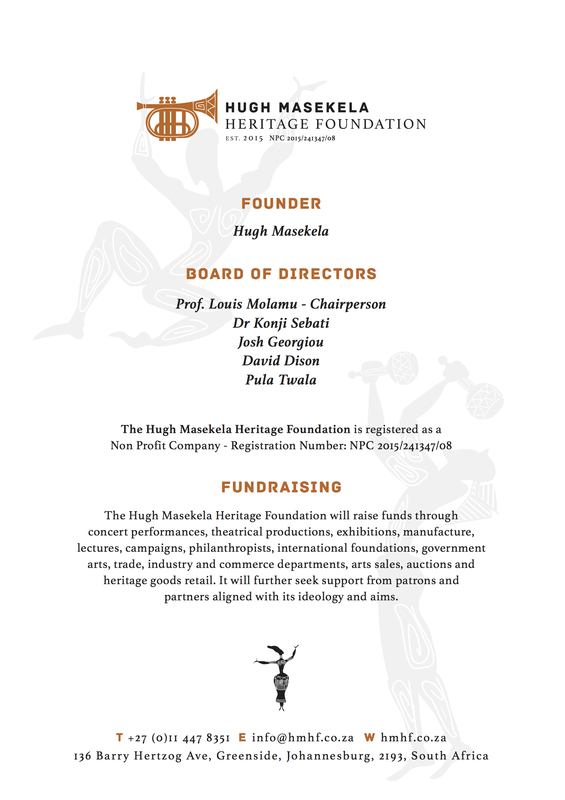 Masekela also called for a return to the trader society, the great manufacturing civilization Africa once was, and to “cease being consumer fodder”. “Go out there and kick some booty,” he said resulting in a thundering applause from graduands. 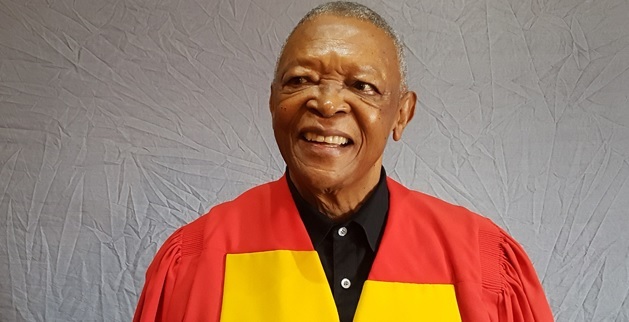 The University of KwaZulu-Natal (UKZN) has conferred honorary doctorates on African Music Legend, Hugh Masekela, and international environmental activist, Dr Kumi Naidoo. 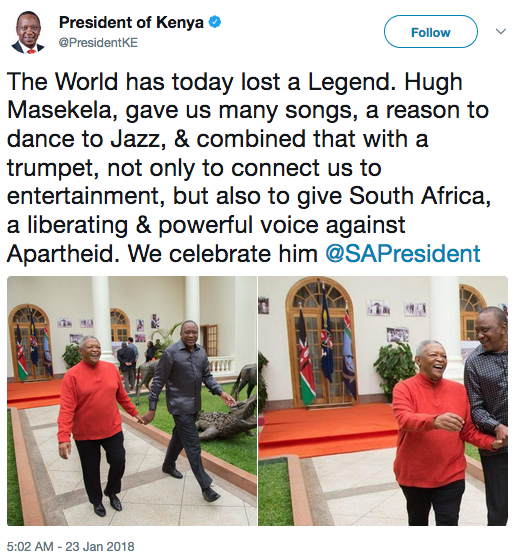 Masekela has been awarded a Doctor of Music Degree for his outstanding contribution to the music industry, while Dr Kumi Naidoo was recognised for his outstanding contribution to the South African struggle for democracy, the international fight against climate change and the struggle against poverty and injustice. Dr Naidoo is the launch director of the Pan African social movement, Africans Rising for Justice, Peace and Dignity. 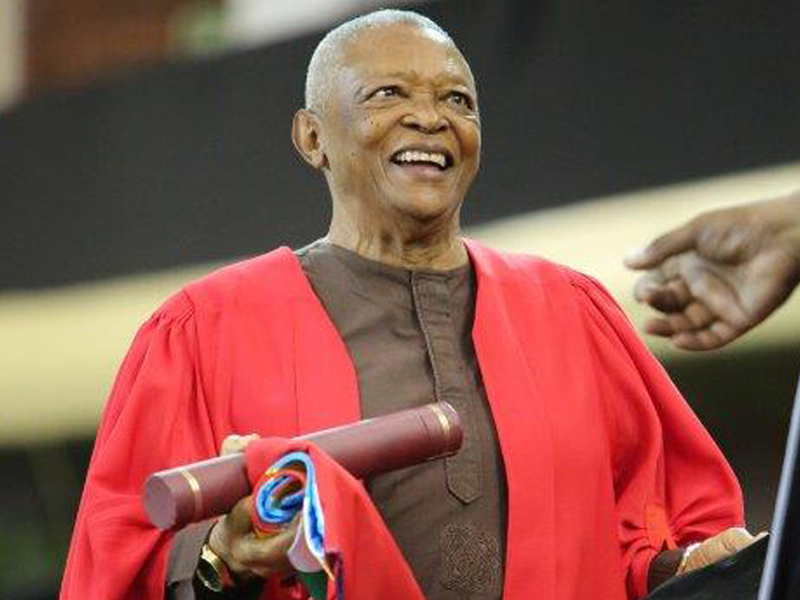 Masekela was honoured during a graduation ceremony of the College of Humanities. 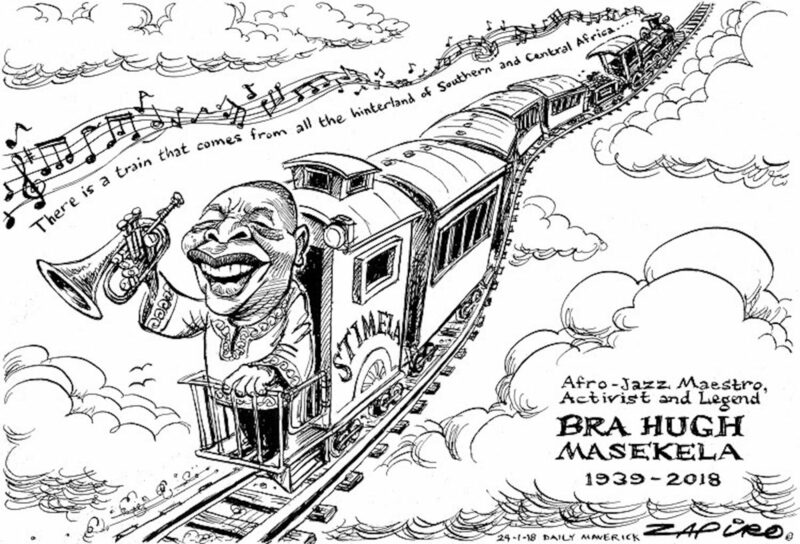 He is a popular African music legend whose campaign through music has contributed to the fight for a free South Africa. Masekela is a world-renowned musician and a political struggle icon. 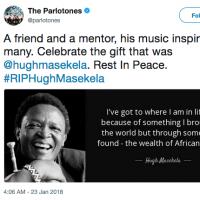 He has mentored a generation of producers and musicians who have contributed to the teaching and practical knowledge of jazz and popular music in South Africa and globally. He says mother tongue-languages should be prioritised. 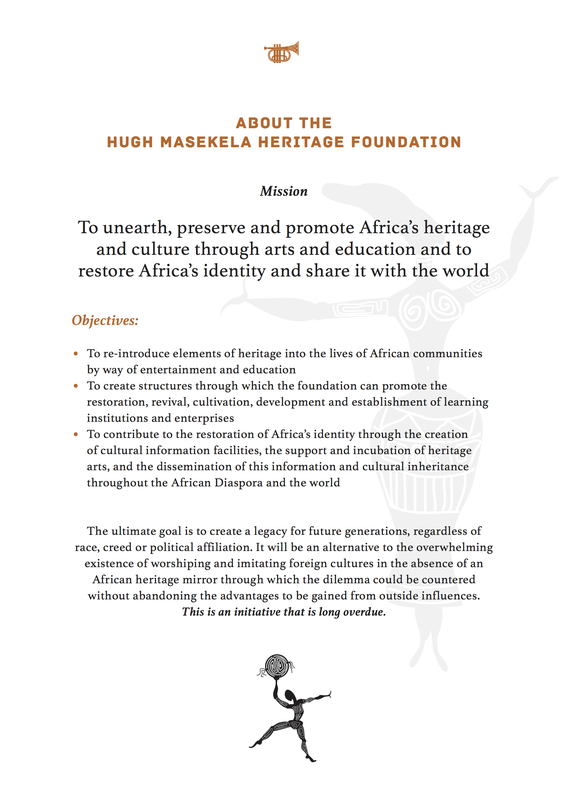 “As you open a new door to the rest of your lives, I request you to consider a number of issues that pertain to restoring excellence of African heritage back into our lives without abandoning the best elements of what we inherited from the western world. Volumes of African language, history and literature books lay covered with dust and ticks in basements and warehouses all over the continent and parts of Europe,” says Masekela. When asked about the political situation in the country and the recent #FeesMustFall campaigns at tertiary institutions, Masekela says a number of things need more attention in the country. Meanwhile, Dr Kumi Naidoo who has been recognised for his contribution to the South African struggle for democracy has condemned violence. Naidoo says people in rural areas are still lagging behind in terms of service delivery which leads to community protests. Naidoo, who was also active in the struggle against apartheid in South Africa during his student years, has called on young activists to speak up. Naidoo and Masakela say they are humbled at being recognised by academia for their contribution to South Africa’s struggle for freedom. I’m Michel Martin, and this is TELL ME MORE from NPR News. It’s summer, and for a lot of people that means music. It’s a time when many people take advantage of the many festivals going on around the country to discover new artists or reconnect with old favorites. 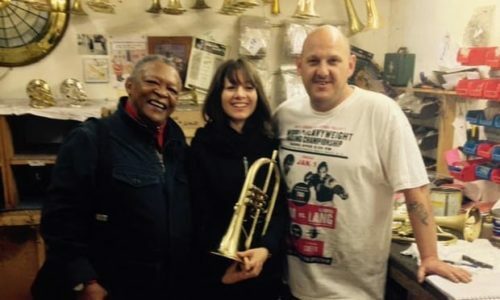 And in that spirit, we thought we’d bring you an encore of our conversation with Hugh Masekela. 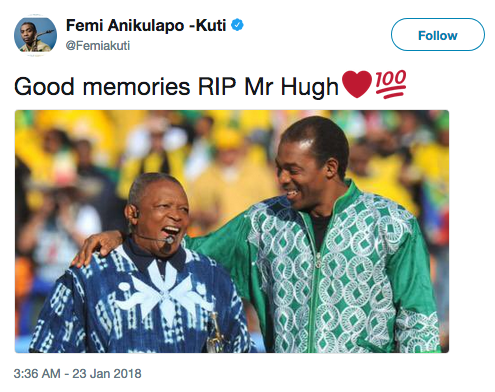 He’s one of Africa’s best-known musicians. He is an international star with a career that’s spanned decades. His 1968 breakout hit, “Grazing In The Grass,” was number one on the American pop charts and a worldwide hit. MARTIN: Masekela’s impact is really hard to describe in few words. He’s released some 40 albums – appeared on too many to count. 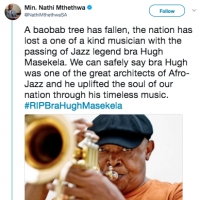 He’s appeared with artists as wide-ranging as Herb Alpert, The Birds, Paul Simon, Fela Kuti and the late, great Miriam Makeba, to whom he was once married. Now in his 70s, Masekela is still touring, which is how we caught up with him last spring when he stopped by our studios in Washington, D.C. And I started by asking him how he fell in love with music. 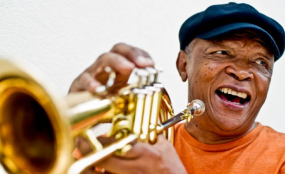 HUGH MASEKELA: I got possessed by music as an infant. So by the time I started playing the trumpet, I was already a bona fide musician. And I was playing classical music as well as other things. And then, I had a beautiful high tenor voice, you know, like those British boys in the cathedral. (Singing) Ahhhh. Yeah. MASEKELA: Not really. Not really. I was a good boy, you know. My mother thought, oh, what a good boy. MASEKELA: (Laughing) I mean as a kid I was punished. I was whipped at least – on a slow day, at least three times. MASEKELA: The preacher said, what do you want to do with your life? I said, if I can get a trumpet, Father, I won’t bother anybody anymore. So he got me a trumpet and a trumpet teacher. MARTIN: It came to pass that you, first – I think you went to London first. And then you came to New York. MARTIN: And you were there at such an amazing time. I mean, people like Dizzy Gillespie took you under their wing, right? 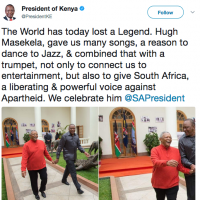 MASEKELA: Know what? 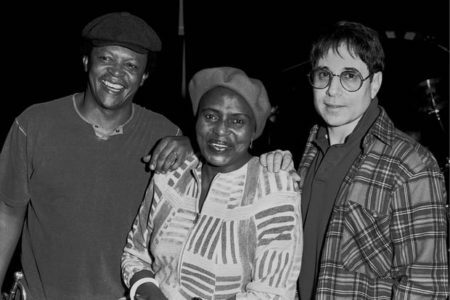 I was lucky because I was brought to the stage by Miriam Makeba, who was an ex-girlfriend of mine and a dear friend. And we’d always dreamt of coming to the States, but she came a year earlier and blew the States away. She was on first-name basis with everybody. Then she and Harry Belafonte gave me a scholarship to Manhattan School of Music. I also had to work part-time in Harry Belafonte’s music publishing because (imitating Harry Belafonte) they ain’t going to give you no money. You got to work for – you know, you got to work for your money. MASEKELA: And we’re paying your school fees. We’re going to get you a cheap place to stay. And you got to work, man, you know. And all these people were their friends. MASEKELA: The first time I dreamt in English, I realized, you know, that I might never go home because by then, Miriam Makeba and Harry Belafonte were already banned, you know, and they were sending me to school. I think that the things that were most difficult for me were the cold. MASEKELA: Yeah. The snow and then, I mean that really made me homesick. I remember that my first snow, I wrote to my mother right away. And I took a picture in the snow. And I said, I’m not smiling. I’m grimacing from the cold. It is really cold here. MARTIN: Were you sad during that time? Was it hard, or was it so exciting? It’s so exciting. MASEKELA: No, I wasn’t sad because it was a great time for me. I mean, I was exposed to, like, the greatest music. It was the greatest time in music in the States, I think, you know, the 1960s. And I was really fascinated by what I was doing. I felt like I’d come to the right place at the right time. But, you know, when you’re a student and you’re in a foreign country, you miss your relatives most. You know, especially when I was hungry, I was like, damn, Saturday afternoon. I just could’ve just gone to my aunt’s place and, like, she makes the tribe stew, you know, with the hominy grits. And I’m talking to myself, you know. So one day, I was talking to myself in the park, on a Sunday afternoon. And I had a tap on my shoulder. And this cop said, (imitating police officer) excuse me, buddy, you know, see those folks over there? I say, yeah. They say they say they’ve been looking at you for two hours; you’ve been talking to yourself. MASEKELA: (Imitating police officer) Are you OK? Then I explained to him what I was going through. He went, oh, yeah, OK. Now I know what that must feel like. And he knew everything about South Africa. Ah, those bastards. 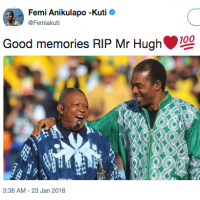 MARTIN: He knew all about South Africa? 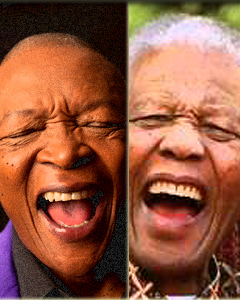 MASEKELA: And then we became friends for many years. MASEKELA: Because he was a young policeman. I mean I was much younger. That’s how homesick you can be. But I was surrounded by so much beauty, and so much generosity and so much joy. And it was a new world. It was the world that I wanted to live in when I heard records when I was a small kid. I thought that people lived in the Gramophone, you know, in the Victrola. And I wanted to get in there and go and come and live with them. MASEKELA: And now here I was living with them. I mean, it was – couldn’t ask for anything more. MARTIN: If you’re just joining us, I’m speaking with musical giant Hugh Masekela. You know, people these days often think of artists as either, you know, popular or as political. But when you came up, there was not a difference between the two. People were very interested in politics who were also very popular. 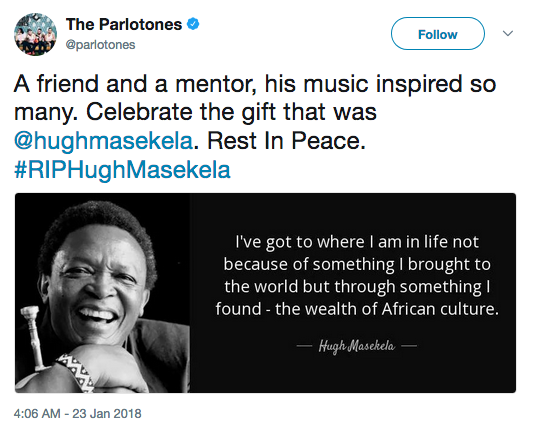 And one of your – your song “Bring Him Back Home,” about Nelson Mandela – it became an anti-apartheid anthem in the late 1980s. And I just want to play a little bit. UNIDENTIFIED CHORUS: (Singing) Bring back Nelson Mandela. Bring him back home to Soweto. I want to see him walking down the streets of South Africa one, one, once more. 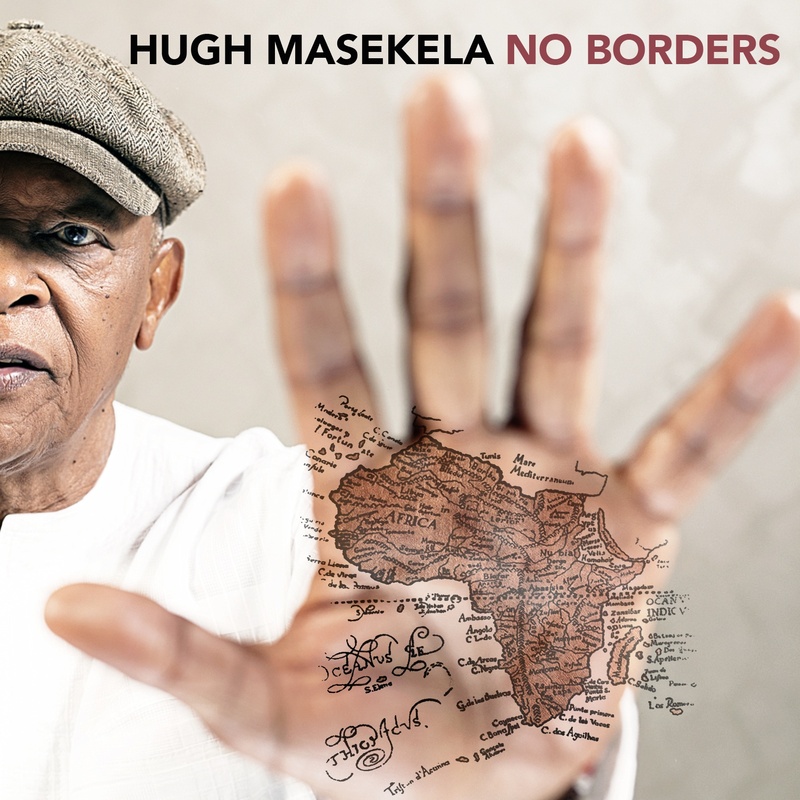 MASEKELA: I don’t know in other countries, but, like, when I grew up, you were not political. You were bombarded by politics. So, like, we grew up in protests, rallies and boycott marches. And from time to time, there’d be shootings. And you’d watch people getting killed. And we’re not naive. And we’re not like, wow, there’s a thing called politics. 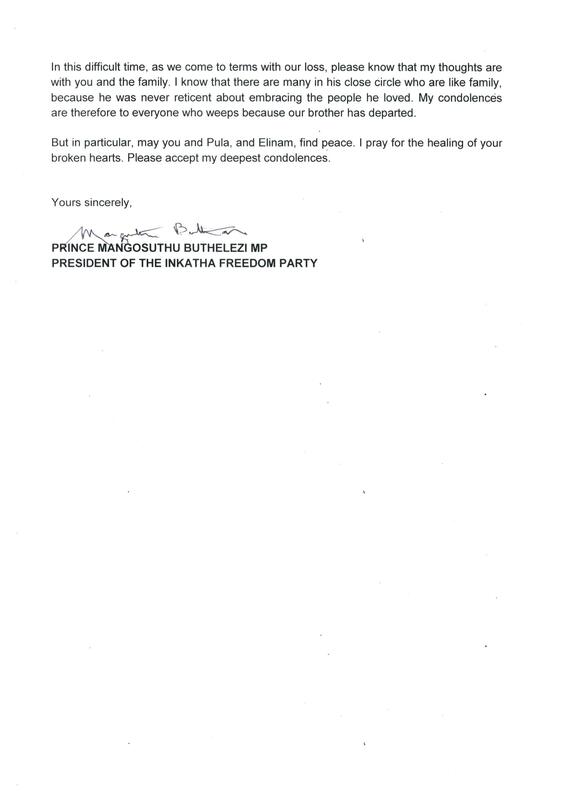 MASEKELA: We’re under its boot. And we wanted to get out of there. And that’s how we grew up. Mandela was the symbol. He was the voice of all those people. They were a whole gang of them – like, Oliver Tambo and Walter Sisulu and, like, all those people who came and brought us the direction to get out of our chains. MASEKELA: They did their job. And they’re a hard act to follow. The greatest things is that they did for us was they said, like, never again will one group of people get to dominate another, you know. And we must try and forgive those who oppressed us and, like, build our country with them and teach them the gift of love and forgiveness. MARTIN: Well, speaking though, of being free from chains, one of the things that was – I don’t know why I didn’t know this. I read this in your book, how just deeply involved you were with every drug there was. I mean alcohol, cocaine – you were really explicit. Well, how are you now, by the way – all good? You’re good? MASEKELA: Well, what you see is what you get. MASEKELA: I mean how do I look for a 74-year-old guy? MARTIN: You look great. Oh, you look, you look pretty great. MARTIN: You know, controversial now, giving compliments about people’s appearance, you may have heard. MASEKELA: How sexist can you be? MARTIN: I know. I’m sorry – apologize. MARTIN: But you opened the door, so – do you have any thoughts about why? Was that just the way it was at the time? MASEKELA: When I grew up, liquor was illegal for African people in South Africa. It only was legalized – I was here a year when it was legalized in South Africa. MASEKELA: And there were speakeasies all over. I mean, every fifth house in the townships of the rural areas was a speakeasy. And my grandmother – a speakeasy – and they were called shebeens. And I was born in my grandmother’s shebeen. And drunkenness, to a great extent, was a form of defiance, you know. And there were people who were famous for being great drinkers. There were people, when they entered the room, people would take off their hats – said, this man can drink. There was that prestige. I started drinking when I was 13 years old. But I started drinking out of, like, peer pressure because I had the most beautiful voice. And they were beginning to look at girls. And my friends said, man, we can’t hang out with you anymore ’cause we’re beginning to look at the babes, and here you are, singing in their range, you know. It puts a little damper on us, you know, so we – so finally I said, what should I do? They said, well, you have to drink and smoke so, like, your voice can get messed up. And then you can sing bass. MASEKELA: Yeah. I didn’t get sober. I stopped killing myself. There’s a difference. You know, like, I think that you shouldn’t stop enjoying life. But you just have to stop beating yourself up and other people and hanging out with people who are beating themselves up. MARTIN: What has kept your music so fresh and exciting? What has kept you so – continuing to work? MASEKELA: Well, first of all, if music was the devil, I would need an exorcist. That’s how, you know, obsessed and possessed I am with it. And I’ve always been like that. And I think, like, when you’re not tunnel-visioned you become a better person. You understand humanity much more. And music is a gateway to the world. You know, so I think that what I do is always fresh because I’m always, like – I’m fascinated by everything. MARTIN: I can’t let you go without asking you about Miriam Makeba ’cause you were such a – you’re both so brilliant. But just hearing about your relationship, it just sounds – it’s just like such a nightmare on one hand. On the other hand, so – I don’t even know what to make of it, really. MASEKELA: Well, it wasn’t a nightmare for us, you know. MASEKELA: Compared to, like, what happens even in the ghetto, you know, where, like there’s – you know, there’s even killings, you know, because people out there are pretty loose. MARTIN: You have had such an amazing life. You’ve seen so many things. You’ve been part of so many musical movements. I don’t even know where to start. But do you have some advice for someone who loves music as you do? MASEKELA: Well, I think that the best advice you can give anybody is that if they love something and they want to be involved with it, the first thing they have to do is to be honest with themselves. How much do they like this and do they have a passion for it? And second, they have to be, like, honest about, have they been told that they seem to be very talented in this field? Because whatever you go into, you have to go in there to be the best. There’s no formulas. It’s all about passion and honesty and hard work. It might look glamorous, but it takes a lot of hard work. The blessing with the arts is that you can do it forever until you drop dead. That’s the blessing. And I’m 74, and I feel that I’m just beginning. So I think I’m very fortunate to have been, like, bedeviled by music.